Here's an adorable new image that came out this month at the Queen Kat store. 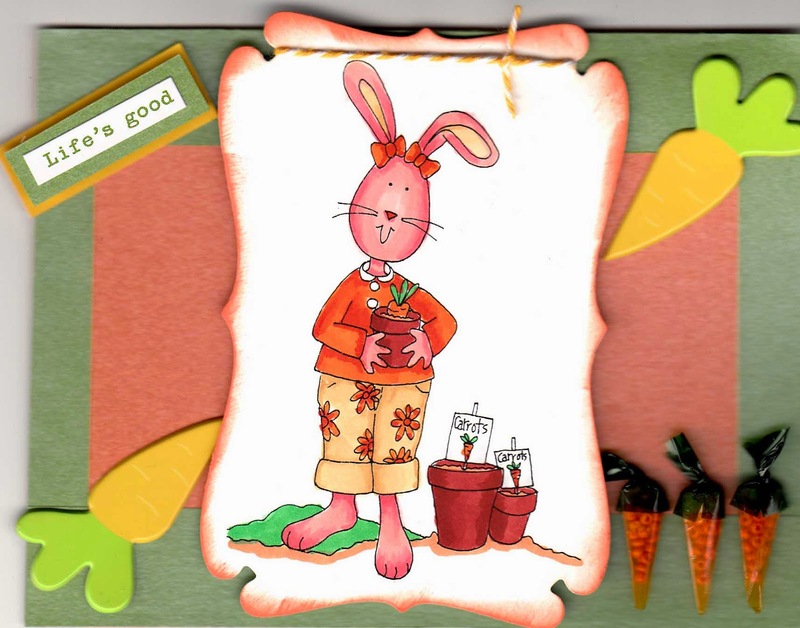 This image is called Planting Carrots Bunny Wabbit from artist Mary Ellen Smith. I think this image would be adorable for Easter, as well as for those cute friends who love to garden, which is great for springtime. I added some cute carrots on the right side from Jolees, as well as some large carrot brads. The papers are a gorgeous shimmers mica cardstock from Paper Temptress. I hope you love this fun image, Mary Ellen Smith has lots of cute rabbits and duck in her stamp line at the store! Can I just say ADORABLE? !